Steve Henderson joined the Sherpas team in early 2015 after spending a winter in the Rockies shooting for the Banff Centre, since then he has worked on over 30+ commercials/films for Sherpas Cinema both in-field and in the edit bay. In 2016, Steve began his transition into the immersive media space and has created immersive pieces for clients like Thule, Travel Alberta, and Destination BC. 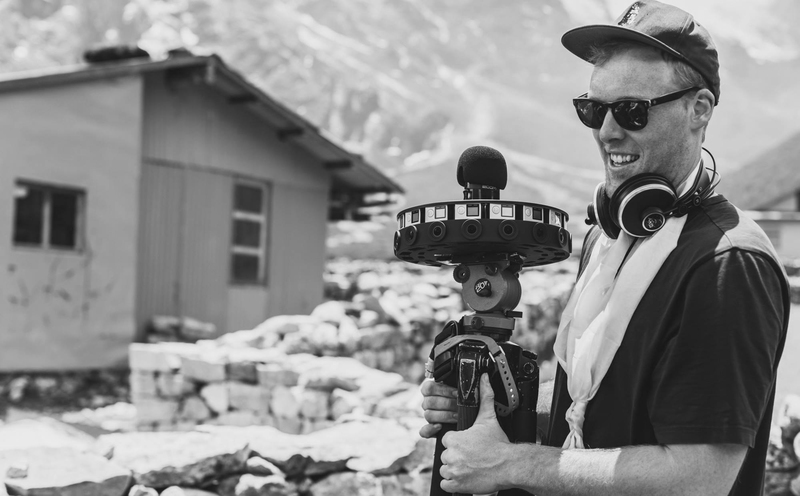 He is continually exploring new ways to tell stories in interactive and VR environments. When he isn’t watching 240 fps ski bangers, Steve enjoys crossfit, climbing mountains, and being the largest Sherpa in the office. He is genuinely stoked to be a part of such a talented team. He graduated from Ryerson University in 2012.